A permanent sign for the new Barre 3 location has just been approved and should be up in about three weeks. 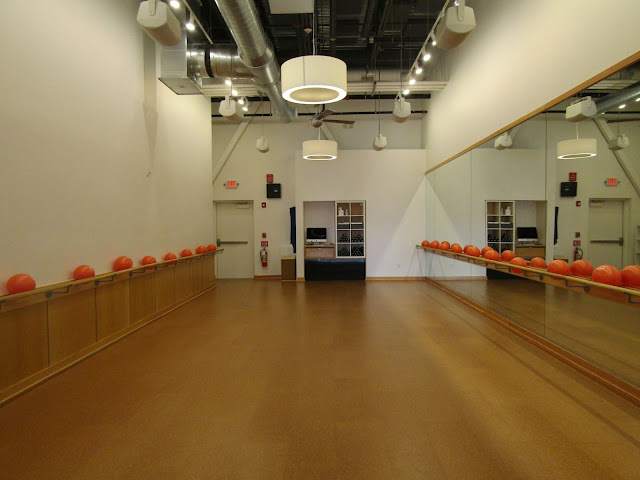 The Bedford Barre 3 Studio is now open at 158 Great Road in Bedford Marketplace. Barre which was inspired by Ballet, was named after the wooden bar Ballet dancers hold onto when they’re doing their warm-up exercises. It was developed in Europe and brought over to the United States in the 1970's. From that, several different versions of Barre evolved. Barre 3 was created by Sadie Lincoln out of Portland Oregon who then opened her first Barre 3 studio in 2008. Barre 3 has seen a surge in popularity over the past five years and now has 108 locations. I recently spoke with the Barre 3 Studio Owner and Franchisee Natasha Groblewski. Natasha grew up in Lexington just outside of Bedford. After College she went out to Portland Oregon where she was introduced to Barre 3. She loved it and had a dream of opening her own studio but she first decided she would need to learn a lot of different skills to maximize her chances of success. In 2010 she moved back to Massachusetts. She then worked a variety of jobs with focus on specific areas including HR and Consulting as well as with a number of startups to hone her entrepreneurial skills. In 2015 she became a certified instructor at the Needham Barre 3 Studio and started to study the business model. In 2016 she decided she was ready to move forward with her own Studio and began looking for the right space. Her first choice was the renovated Bedford Marketplace but this space was under agreement. Shortly after, she found out the deal with the other tenant had fallen through. She jumped at the opportunity as this was her dream location. She remembers coming to the shopping center as a kid to shop at Marshall's and eat at Cafe Luigi's. The Bedford location is the 2nd in Massachusetts with locations in Brookline and Sudbury expected to open shortly. Natasha explained that the Barre 3 is a combination of thee disciplines; Yoga, Pilates and Ballet. The classes which are open to everyone, are designed to target the arms, legs and core. While the classes see age ranges from about 20 to 80 years old, they tend to be mostly female. The average person goes to 2 to 3 one hour classes per week. According to Natasha, many of her new clients get convinced by a friend to try one class. They usually love the community focus and tend to find the classes fun and energizing. The Studio offers a cork floor which is designed to reduce heavy impact on the joints. Unlike some other fitness classes like Yoga which may have different levels, Barre 3 offers one level of classes. The postures can be easily modified to accommodate injuries and physical challenges. The classes are generally considered low impact and makes use of interval training. Each class is led by a Barre 3 certified instructor. Natasha mentioned that the certification process is fairly long and detailed to ensure each instructor is well trained. The studio averages about 5-6 classes a day during the week (early morning, lunch time and after work) and 2 classes on Saturdays and Sundays. 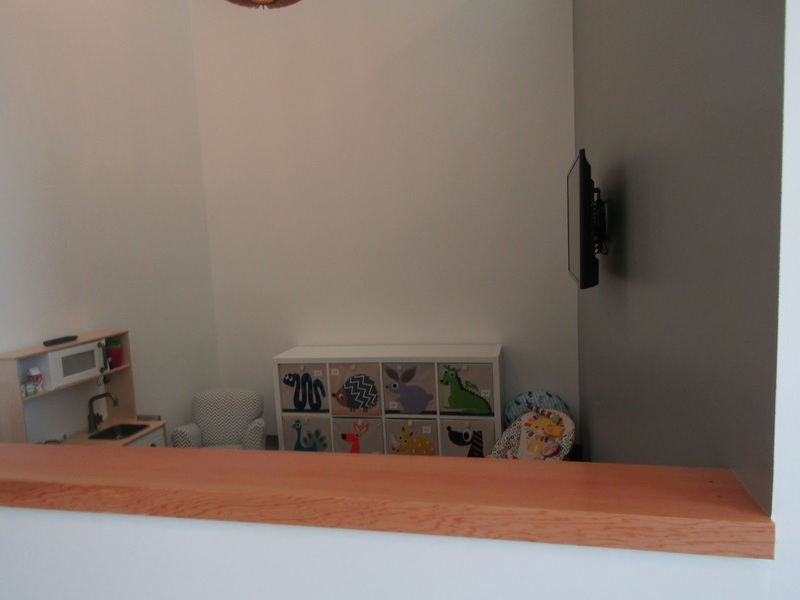 The Bedford Studio, which can hold up to 27 people at one time, offers childcare during most classes. While you can pop in to most classes, Natasha recommends making use of the online scheduling tool via their web site or app to ensure there is space in the class. Front desk at the new Studio. According to Natasha, drop in classes are $25. You can also buy 5, 10 or 20 classes packs at a slightly lower per class rate. For those people that expect to attend a lot of classes, Barre 3 offers a monthly unlimited pass (currently $99) that lets you attend as many classes as you want. 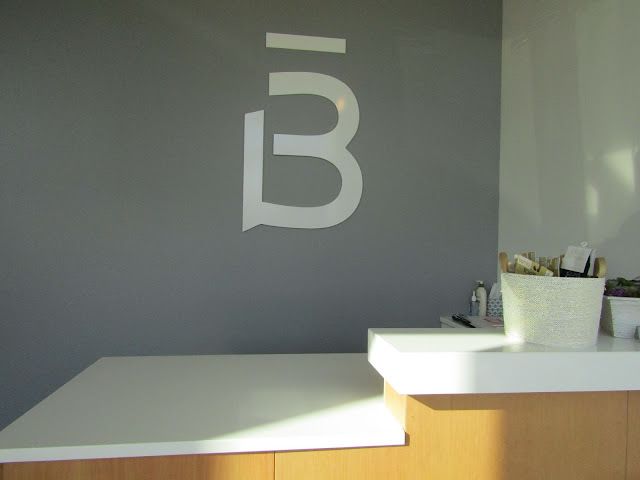 Unlike some other fitness places that have a one or two year contract, with Barre 3 you go month to month and the starting monthly rate you pay is locked in as long as you continue each month. The monthly membership also gives you access to hundreds of different fitness videos from their workout library and recipes. In fact Natasha herself provided some of the recipes. 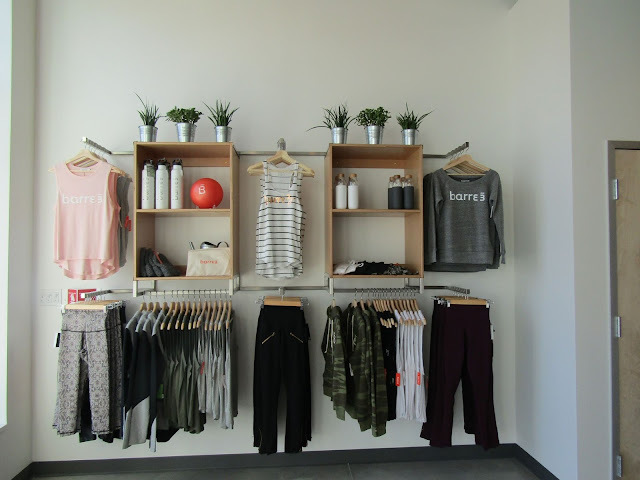 Along with classes, Barre 3 apparel and accessories are available for purchase. The studio has five instructors including Natasha. For the grand opening week, they are offering both free classes and free childcare. 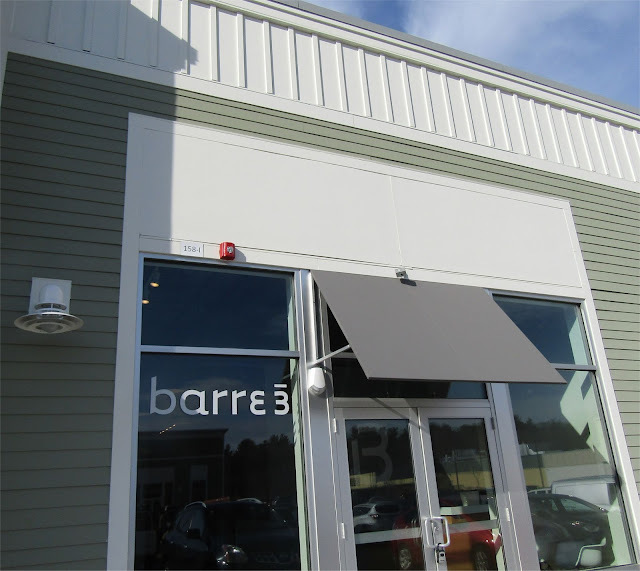 The past year has seen a surge of Barre studios opening in Massachusetts such as Pure Barre and Xtend Barre which are in Burlington. It will be interesting to see if this surge continues. It's good to see an entrepreneur follow a focused approach to fulfill their dream. Most of the time, people either jump in to a business without realizing some of the skills they will need to learn or they convince themselves they are not going to be ready and thus never take the plunge. 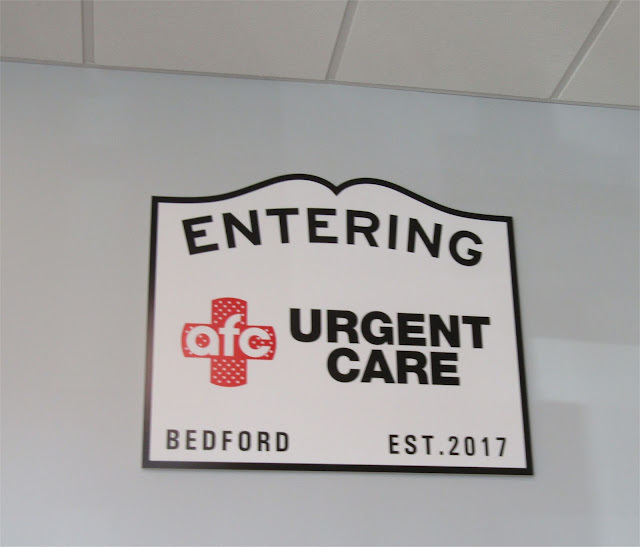 AFC Urgent Care Bedford is set to open on January 20th at 154 Great Road in Bedford Marketplace. The location which is adjacent to Red Heat, was previously used as a temporary location for Brookline Bank. AFC, also known as American Family Care was started in 1982 by Dr. Bruce Irwin and has grown to become one of the largest providers of walk in urgent care in the United States with 185 locations in 31 states. The Bedford location will be the 21st location in Massachusetts. Similar to hotels and some restaurants chains, AFC locations are typically owned and operated by local franchisees. I recently spoke with Dave Adams who is the co-owner of the Bedford location. Dave started his career as a Captain for the United States Marine Corps. After about 8 years, he left the Military and got an MBA from The Tuck School of Business at Dartmouth. After graduating, he worked briefly for an Investment Bank before transferring to Sullivan Construction where he worked his way to up to become Vice President, of Operations. 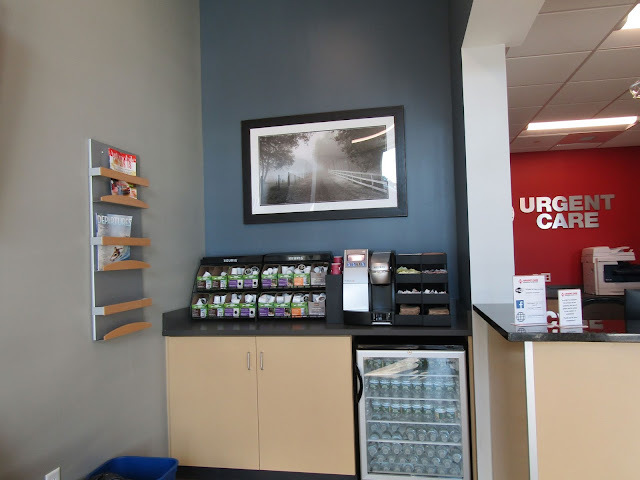 The waiting area provides complimentary hot and cold beverages along with iPads for Children. While he enjoyed his work, he wanted to focus more on the greater good and he decided healthcare would be a good place. 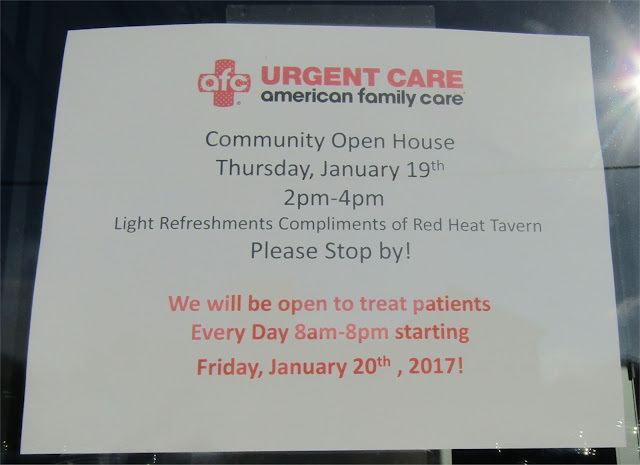 About 5 years ago, he formed a management company called Patriot Urgent Care in order to open and operate a Doctors Express Urgent Care center in Waltham. Shortly after, he persuaded Emergency Medicine Physician Dr. Kristina Orio (whose background included being an Emergency Medicine combat physician in Iraq for the United States Air Force) to come on as Medical Director. Two years later they opened a second location in Burlington. In 2013 Doctors Express merged with AFC retaining the AFC name. In 2014, Patriot Urgent Care opened a third location in Stoneham and is now opening in Bedford. The management company which employs about 65 people, owns and operates all four locations. The headquarters for the management company is also moving to the Bedford location. Dave is now the President while Dr. Orio is a co-owner and still serves as the Medical Director. 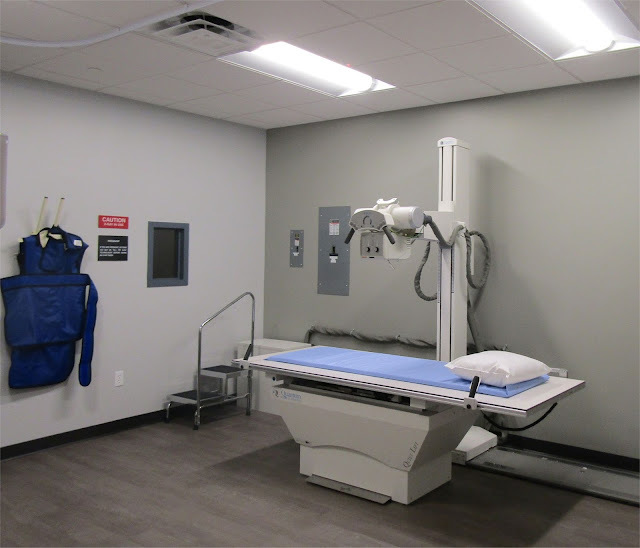 The Clinic is comprised of Eight Exam Rooms along with on-site lab and X-ray. They picked Bedford for their fourth location because there is no local hospital or existing Urgent Care Facility. As part of the selection process, they reviewed detailed population and traffic studies which showed the Bedford Marketplace location would be a very convenient one. 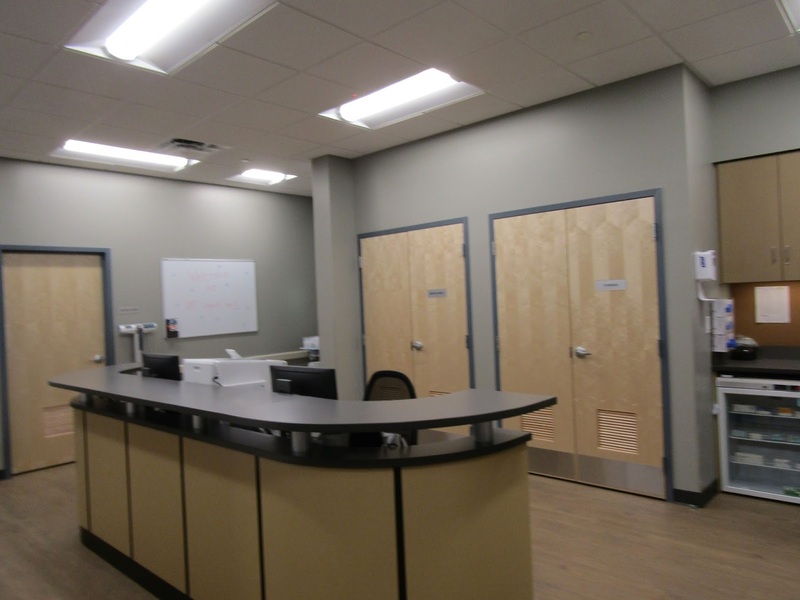 According to Dave, their clinic is designed to quickly see people who are unable to get in to see their primary care physician (PCP) right away. The clinic is open from 8 am to 8 pm seven days a week including holidays (which covers 35% of the time when most PCP's are closed). Dave mentioned their average wait time is 7 minutes with a total door to door time of about 45 minutes. They post the current wait time on their website for all their locations, so patients can figure out which would be most convenient for them. One of the eight Exam Rooms. 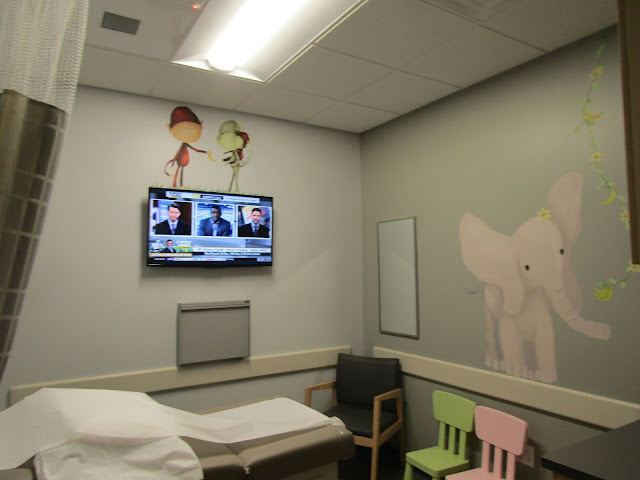 This one is specially designed for pediatric patients. AFC takes insurance from most of the major carriers. Dave stated that the average co-payment is $22. After being seen, records can be sent electronically to a patients PCP. About 30% of patients end up getting a referral, mostly to Orthopedics. Less than 1% of their patients end up needing to go to a Emergency Department. According to Dave, an Urgent Care Clinic requires more extensive licensing and checks from the Massachusetts Department of Public Health than a solo primary care physician. Dave also explained how AFC has set up relationships with many specialists so they are now able to schedule most referrals for the next business day, which is frequently faster than a patient's own PCP. A nurses station is used to coordinate patient care. All patients are seen by a board certified Physician. In additional to Urgent Care, AFC also provides DOT Medical Exams, Drug Screening (both corporate and court ordered), FAA Flight Screening, Immunizations, Laboratory Services, Physicals and Travel Medicine. 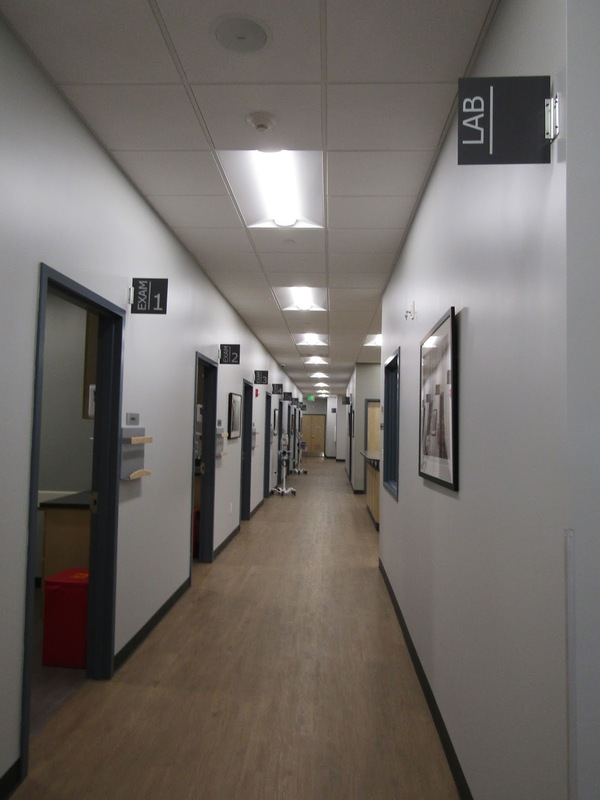 The Bedford location which encompasses over 4,000 square feet, consists of eight exam rooms, an X-ray suite and an on-site lab designed to quickly do many common tests. Other tests are sent out with results usually available within 36 hours. With both owners having a Military background, they want to be able to provide services to Hanscom AFB personnel. While Hanscom does have a Clinic run by the 66th Medical Squadron, it has more restricted hours than AFC. Dave is currently working on getting an agreement with the TRICARE health care program in order to enable uniformed service members and their families to access the Bedford location. According to AFC founder Dr. Bruce Irwin, a standard American Family Care center needs 30 patients a day to break even. To help drive business, AFC clinics typically employ a Business Development Manager who works with local businesses and other community entities to help drive business. These marketing efforts are similar to how many local banks market themselves in the community. One of the challenges with a Urgent Care clinic is the amount of staffing. You want to have enough staff on hand to ensure patients are seen quickly but not too much in that you are paying for staff that is not needed. The AFC clinics make heavy use of analytics to forecast activity levels for staffing. The analytics includes past history on the specific day/day of week, current weather, recent flu reports and other information. Dave has found Bedford very welcoming so far and is very excited to be here. They really want to help people get medical care while saving them time and money. Bedford AFC has already become involved in the community including being a sponsor for Bedford Rotary's Breakfast with Santa program. Once fully up to speed, the Bedford locations will have about 25 employees. While the official opening in is on Friday January 20th, there is a public open house on Thursday January 19th from 2-4 pm. 1. 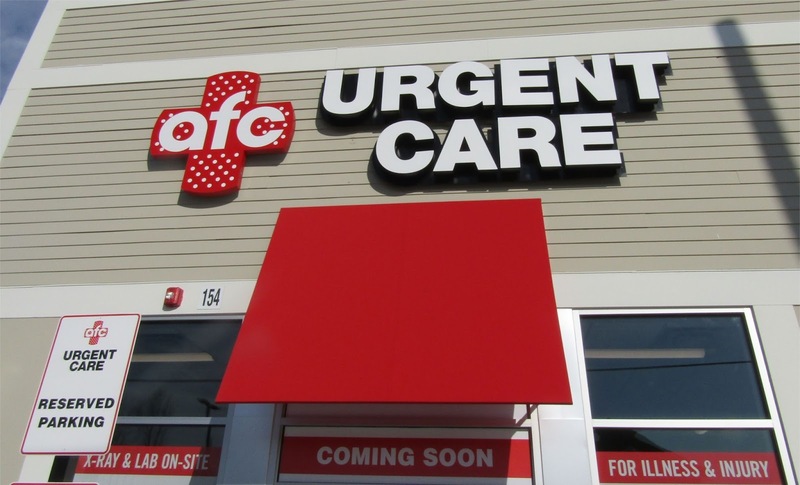 While urgent care has been popular across most of the country (there are close to 10,000 locations), it only has taken off in Massachusetts in the past couple of years. The most recent trend is for hospitals to open their own branded clinics. For example Emerson is in the process of opening two locations while Partners Healthcare already has three locations running in the Boston area and has plans to open ten more before the end of 2017. In some cases, such as Emerson, the clinics are run directly by the hospitals while others are joint ventures. For example Partners Health Care has partnered with MedSpring Urgent Care. 2. It will be interesting to see what impact all the new and upcoming Urgent Care clinics will have on Emergency Department visits. Lahey is opening a new expanded Emergency Department on January 25th. The new Department, which cost just under $80 Million, has been designed to be able to handle 50,000 patients annually. It currently gets about 40,000 per year and it has projected a rise to 45,000 in 2021. I wonder if the growth of Urgent Care clinics was taken in to account in their projections?